American Wholesale Property: Great Opportunity In a Great Area! 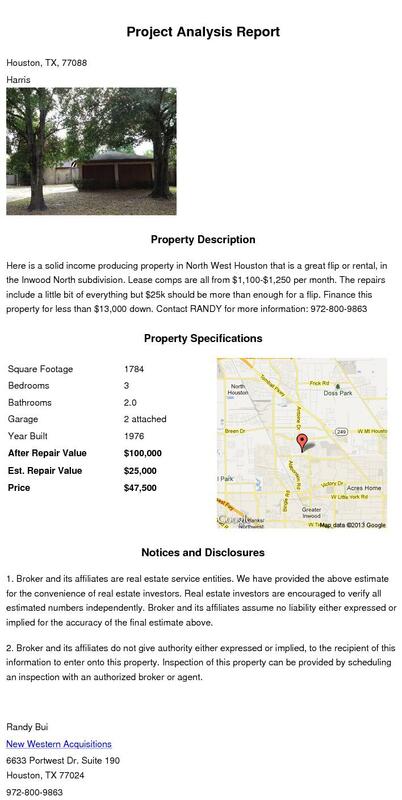 Here is a solid income producing property in North West Houston that is a great flip or rental, in Inwood North subdivision. Lease comps are all from $1,100-$1,250 per month. The repairs include a little bit of everything but $25k should be more than enough for a flip. Finance this property for less than $13,000 down.